There are hundreds of options for web hosting providers. Offering all types of plans like shared, virtual private, and dedicated servers. If you are starting to get high amounts of traffic and need root access. Then it's time to upgrade to a virtual private server, or VPS. Finding cheap VPS hosting isn't the hard part. Finding a provider that gives you great features and support can be tricky. There are a lot of companies out there that will give you space. But won't help you manage or set up the server. BlueHost is new to the game for VPS. 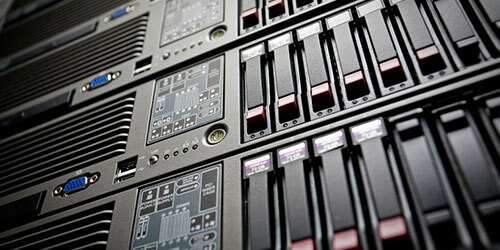 They have had excellent shared hosting support and now offer VPS servers. Right out of the gate their price is really low if you sign up for a year commitment. ($14 / month) For those you don't like commitment, plans start at $30 / month. All plans come with 24/7 support, money back guarantee and plenty of CPU and RAM power. HostGator is a great place to find cheap VPS hosting. They are more flexible than other VPS companies. You can pick how much CPU power, RAM, Disk Space, and Bandwidth you need for your website. Starting at $20 and going up depending on your resources. You will find that you’ll pay extra for CPanel. (Hosting Management Software) With 2 dedicated IP address and full managed server support, it is one of the best options. GoDaddy is known for their domain names, but they also have a ton of affordable hosting plans. Including great VPS hosting. Their bottom package starts at $30 but they give you more RAM and Disk Space than the other guys. There are add-ons you can include for a little extra. Things like FTP backup, Plesk control panel, and extra bandwidth. This is an easy solution for those who already use GoDaddy as their domain registrar. Lunarpages is one of the cheapest VPS hosting companies that you will find. They have a Linux Starter plan starting at around $27 with 256 MB of memory, 10 GB of disk space and 500 GB of bandwidth. There aren't any hidden fees you will run into. Some providers like to charge more for setup, control panels, and IP address. Lunarpages gives you all of that for FREE. A virtual private server, or VPS, is like a shared server, where you share resources from one server. This is a great option for a small or medium size website that wants more control over their server. Shared hosting limits what each website can use in CPU power and RAM. This is because there are hundreds of websites on one server. One plus side to share hosting is that their plans usually have ulimited bandwidth. A VPS server can give you a guaranteed amount of CPU power and RAM memory. No matter if your website is using it or not. Another plus is that you have our own operating system. This gives you full superuser access to change settings or install software. This will increase your website performance. This is a big plus for those who are using shared hosting. Which can have slower response rates and load times. Running a VPS server can help you have a strong security protection for your website. But it can also be a problem if you don’t know what you are doing. When you have a VPS server you are responsible to maintain your own server. This includes security updates, application updates, or any firewall configuration. Not knowing how to do some of these things could leave your server open to attackers. One way to balance both worlds is to find a web hosting provider that does full managed support. This way if you notice something out of the date or needs a security update. You can have their support team help you along the way. thanks for the post, sorting out the hosting and finding the best value for your dollar can be very time consuming. This is very helpful. Great Information! I prefer Hostgator to launch a website.